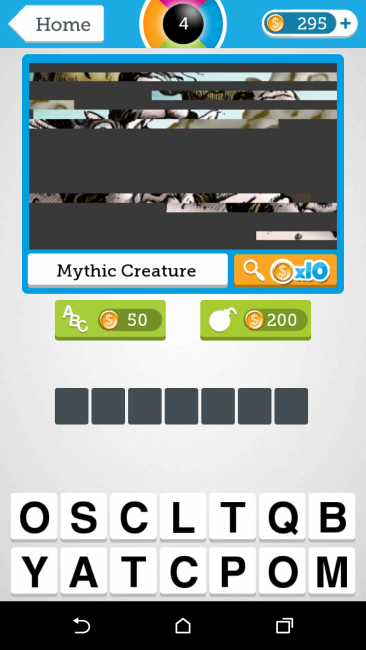 Description: Eye Know is a visual trivia game for Android that obscures images in various ways and asks players to guess what the image is. From categories like animals to logos and everything in between, Eye Know can present players with a tough challenge, indeed. 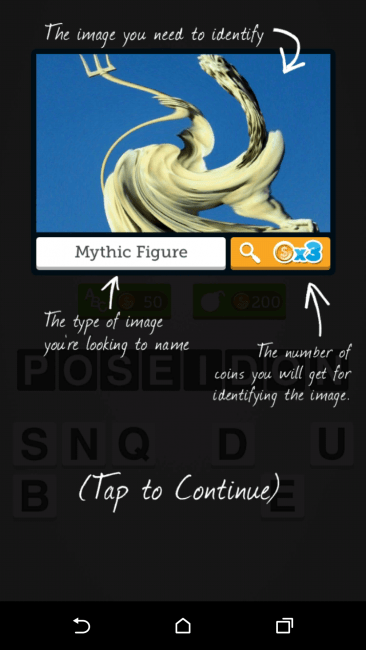 You can use coins and such to help you through particularly difficult questions and each one you get right will replenish these coins. There are over 600 questions included in Eye Know and there’s no need to log in with Facebook or anything like that, just start playing at your own pace. Take a look at the trailer below. How it Works: You’ll have to download Eye Know from the Play Store to get started, but it’s a pretty quick download so there’s little waiting. Once done, you can start playing, without the need to sign up or sign in with a social media account. It’s well worth taking a look at how to play before attempting the puzzles, as it has some handy tips in there on how to play the game. When you’re playing the game, all you need to do is guess the image that’s being distorted a little onscreen. It seems pretty simple, and the levels do start off easy, but they can become quite difficult. 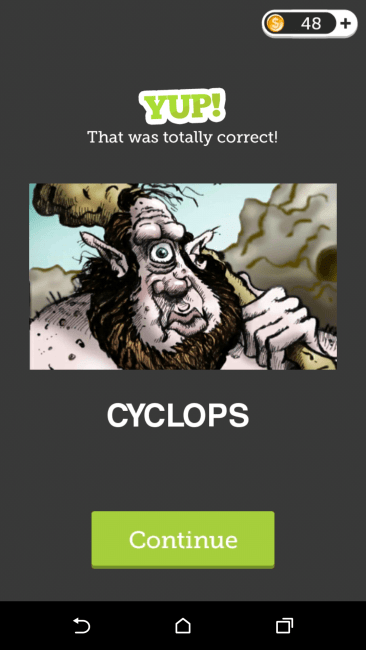 Speed (4/5) – I had no problems at all with speed, the animations are quick and the whole app ran well. Features (4/5) – A nice spin on a fairly saturated genre, Eye Know feels fresh and the changing distortion effects kept my brain guessing. Theme (4/5) – With some nice animations and an overall pleasing UI, Eye Know is a simple and good-looking game to navigate. Overall (4/5) – Eye Know is a fun game that still manages to put forward a genuine challenge even with so many similar games on the market right now. 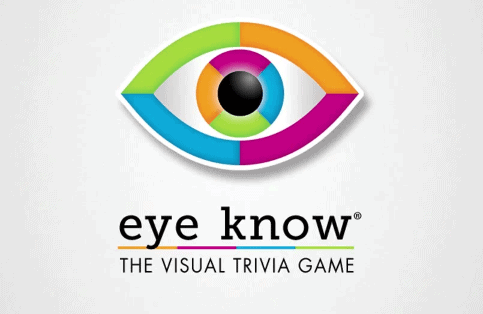 Conclusion: Eye Know is a fun game overall and there’s very little to complain about. Sure, there’s a lot of these types of games around here, but that doesn’t mean there isn’t room for one more. Besides, Eye Know stands out in its own right and does bring something a little different to the table. With some good-looking animations and an easy to follow UI, pretty much anyone can play Eye Know, but they should definitely expect a challenge if they do try and play. 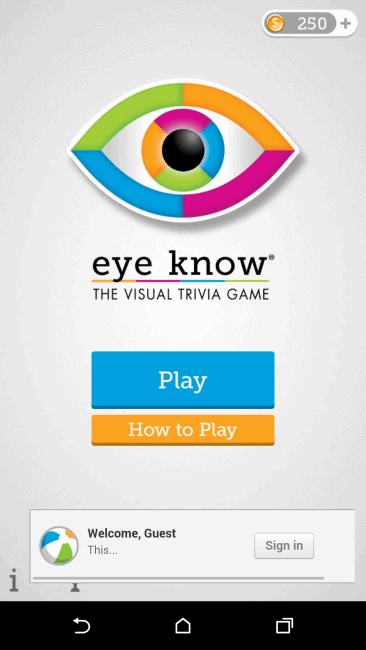 The post Sponsored Game Review: Eye Know appeared first on AndroidHeadlines.com |.